Action Pathways is a non-profit human services agency offering a comprehensive and supportive approach to helping families and individuals achieve and sustain economic security— effectively providing them a path forward in life. 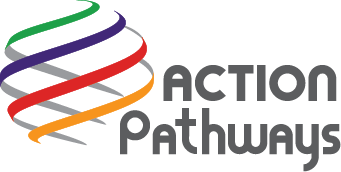 Formed in 1964, Action Pathways is part of a national network of community action programs whose promise is to change people’s lives, embody the spirit of hope, and improve our communities. According to the Community Action Partnership, the service areas of Community Action Agencies (CAAs) cover approximately 96 percent of counties in all states. Connected by a national network that includes the Community Action Partnership national association, regional associations, state associations, a national lobbying organization, and a national association of Community Service Block Grant administrators, CAAs are each independently-operated, private human service non-profit organizations. Currently, more than 34 million residents in the United States rely on CAAs as the primary direct-support agency to keep them on their feet. Action Pathways is committed to helping families and individuals in our community get back on their feet. We understand the importance of transparency and accountability. Take a look at what we’ve accomplished.